HARTFORD, Conn. (AP) – Muslims around the U.S. are facing backlash following the deadly attacks in Paris, including vandalism to mosques and Islamic centers, hate-filled phone and online messages and threats of violence. Hooper said the council is seeing an increase in anti-Muslim incidents since Friday’s attacks in Paris that killed 129 people and wounded more than 350. Leaders of the mosque don’t know the motive of the shooter or shooters, said Salaam Bhatti, a spokesman for the Ahmadiyya Muslim Community in New York, to which the mosque belongs. The Ahmadiyya Muslim Community is a movement within Islam. At the University of Connecticut, authorities are investigating after the words “killed Paris” were discovered on Saturday written beneath an Egyptian student’s name on his dorm room door. – The Omaha Islamic Center in Nebraska reported that someone spray-painted a rough outline of the Eiffel Tower on an outside wall. 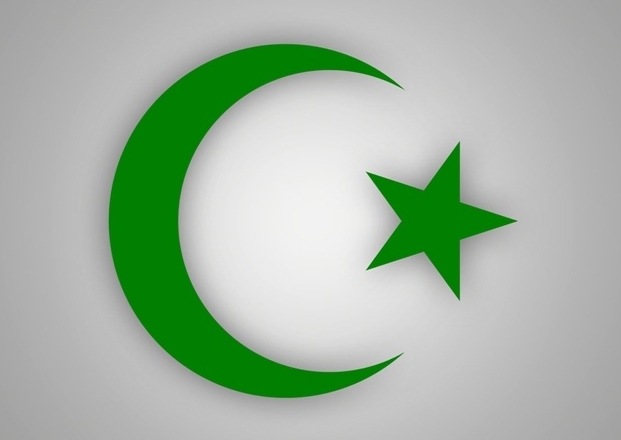 The Council on American-Islamic Relations has called for the FBI and local police to investigate the incident as a possible hate crime, and they’re doing just that, according to Nasir Husain, general secretary of the center. Muslims in the central U.S. city are afraid, he said. “We have men, women and children who come to the masjid to pray every day, and since these Paris attacks, they have reduced the frequency of their visits to the masjid with fear for their lives,” Husain said. – In a suburb of Austin, Texas, leaders of the Islamic Center of Pflugerville on Monday discovered feces and torn pages of the Quran that had been thrown at the door of the mosque. Muslim leaders also encouraged authorities to investigate the act as a hate crime. – In a suburb of Houston, Texas, authorities on Tuesday arrested a man accused of threatening on social media to “shoot up a mosque.” He was charged with making a terroristic threat, a felony. – Two Tampa Bay-area mosques in Florida received threatening phone messages on Friday night. FBI officials said the same person made the calls to the Islamic Society of St. Petersburg and the Islamic Society of Pinellas County. The person was identified and interviewed over the weekend, but investigators found no actual plans to carry out acts of violence, the FBI said. One of the calls threatened a firebombing.